The lines for Toy Story Midway Mania at Disney's Hollywood Studios were extremely long today with the Easter Holiday crowds. By 2:15 pm the stand-by line had reached 210 minutes ( 3 1/2 hours) and people were still getting in the line. TouringPlans.com had today rated as a 10 on their crowd prediction scale of 1 to 10, but Disney's Hollywood Studios had been selected as a park to visit today, meaning that it shouldn't have been as crowded as the other Disney World Theme Parks today. At Disney's Hollywood Studios there are 3 attractions that lead in popularity and long lines. They are: Toy Story Mania, Rock 'n' Roller Coaster Starring Aerosmith, and the Twilight Zone Tower Of Terror. All 3 of these very popular attractions saw heavy traffic right from the start of the day and built as the day went on. By early afternoon the secondary attractions at Disney's Hollywood Studios, like the Great Movie Ride were also seeing extremely long lines. Toy Story Mania still appears to be the most popular attraction at Disney's Hollywood Studios, if not in all of Disney World. Ever since it debuted in 2008, it has garnered long lines and it hasn't let up. The Pixar film Toy Story continues to be popular and with the third installment to be released to theaters in June it will only continue to grow in popularity. The attraction itself uses innovative technology to make a 3-D video game that is enjoyable for all age groups, hence the popularity. It appeals to young children, as well as, those who also enjoy the thrill rides. The fact that you keep score helps with desire for people to ride the attraction multiple times if possible. If you would like to experience Toy Story Mania for yourself on your next Disney World vacation, plan on getting to Disney's Hollywood Studios at or before to park opening. 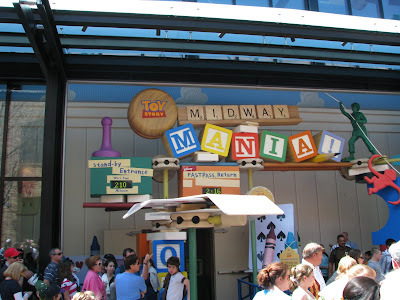 Proceed directly to Toy Story Mania )with countless others) and get a FastPass for the attraction. This is the only way to guarantee that you will be able to experience the attraction without waiting in line for well over an hour. 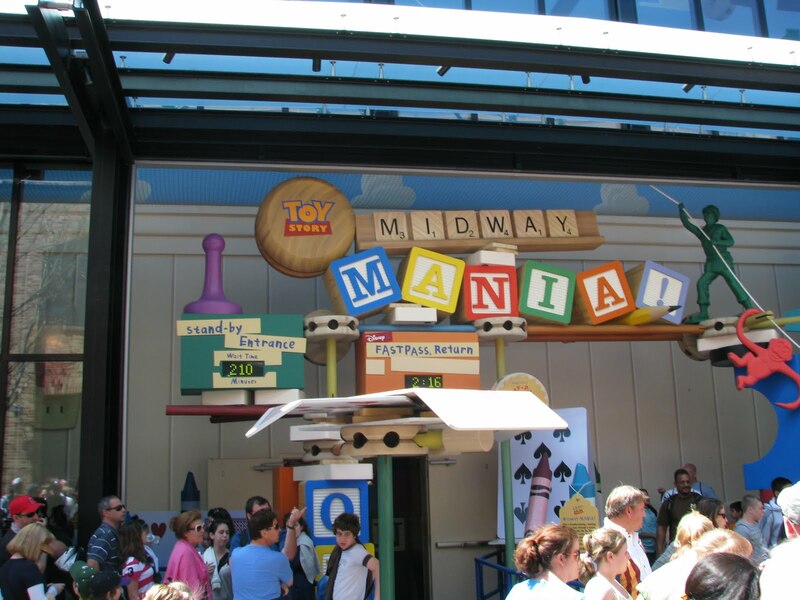 1 comments to "Toy Story Mania Sees Extreme Lines At Disney's Hollywood Studios"
Amazing! I was there during the freeze in January....rode it 3 times in 1 hour, then had a CM give me a handful of fast passes. Same thing happened @ Soarin the next day.